Molly D. Shepard is President & Chief Executive Officer of The Leader’s Edge/Leaders By Design, a company dedicated to the advancement of executive and high-potential leaders. Molly has more than 30 years of experience in career counseling, leadership development, executive coaching and executive search. Through her leadership as Chairman, President and Co-founder of Manchester Inc., one of the world’s largest career development consulting firms, she helped develop the highest standards of excellence in program design and delivery. Manchester became one of the nation’s top human resources consulting firms helping thousands of people a year transition and reach their potential as leaders under her guidance. Molly has served as co-chair for Women Against MS for the past five years and is a member of the Board of Directors for The National Multiple Sclerosis Society’s Greater Delaware Chapter. 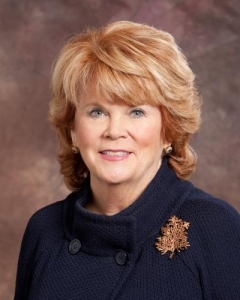 As founder of the Women’s Initiative for The United Way of Southeastern PA, Molly actively serves as Chairman Emeritus. She is also currently active as: Chairman Emeritus of WHYY Inc., President Emeritus of the Pennsylvania Women’s Forum, and is a member of the Board of Directors of The Greater Philadelphia Chamber of Commerce. Molly has previously served as a member of the Boards of Directors for The American Heart Association of Southeastern PA, Keystone Financial Inc., Keystone Bank N.A., Rosemont College, Liberty Savings Bank, a subsidiary of Equimark Corporation, the Kimmel Center, the University of Pennsylvania Graduate School of Education Board of Overseers, and the World Affairs Council of Philadelphia. Molly is frequently recognized for her outstanding commitment to the community. Her numerous accolades include the 2017 Woman One Award presented by The Institute for Women’s Health & Leadership at Drexel University College of Medicine for her leadership in the Philadelphia community. In 2013, Molly was honored with the Woman of Spirit Award by the Greater Delaware Valley Chapter of the Multiple Sclerosis Society for her commitment to raising MS awareness. In 2012, she was awarded the Alice Paul Equality Award, given to strategic, visionary leaders who are dedicated to breaking accepted tradition and barriers. Molly also received the 2012 Brava! Achievement Award given annually to top regional female CEOs for their entrepreneurial endeavors and commitment to community by SmartCEO Magazine. In 2008, Molly was honored as the United Way of Southeastern Pennsylvania’s Woman Caring About What Matters Award for her dedication to their women’s initiatives. In 2006, she received the Trailblazer Award from Philadelphia Magazine and the Citizen Volunteer of the Year Award from United Way. In 2005, Molly was the recipient of the Philadelphia Business Journal’s Women of Distinction Award and in 2004 received the Beta Gamma Sigma Award from the LeBow College of Business at Drexel University. In 2003, Molly was honored by the March of Dimes as a Montgomery County Woman of Achievement. In 2001, she received the Greater Philadelphia Chamber of Commerce Paradigm Award as the outstanding woman business leader of the year and also won the Pennsylvania Best 50 Women in Business Award. Molly is also an author of four books including The Bully-Proof Workplace: Essential Strategies, Tips and Scripts for Dealing with the Office Sociopath, written in partnership with Peter Dean (March 2017). Her other works include: Preparing for Your Prime Time (2012) a retirement guide for women boomers that helps them strategize and prepare for a successful, fulfilling retirement; Breaking Into the Boys’ Club (2nd edition in 2015) focused on the roadblocks that keep women from reaching the top of the corporate ladder and offers eight powerful strategies to overcome these hurdles; and Stop Whining and Start Winning (2005). In addition, she was a contributing author to The Coachable Leader: What Future Executives Need to Know Today (2012). Molly is often tapped as a keynote speaker and moderator given her expertise and reputation as a thought leader in the field of leadership development. She is often asked to speak on the topics of strategic networking, executive impact and presence, workplace bullying and women’s initiatives. Molly holds a B.A. from Wheaton College, a Masters Degree in Psychological Services and Counseling from the University of Pennsylvania, a MSM in Leadership from The American College, and in May 2006 received an Honorary Doctorate of Humanities from West Chester University. In 2009 she received certification as an Internationally Certified Career Management Fellow (CMF) with ICC International.